Barbara Allushuski is President and CEO of Blue Heron Talent, LLC. Barbara has coached “C Suite” level clients from a broad industry representation, including: Insurance, Healthcare, Auto, Publishing, Utility, Construction, Manufacturing, Retail, Financial, Consulting and Non-Profit Organizations. Prior to establishing Blue Heron Talent, Barbara was President of Right Management Great Lakes Region. She was also a worldwide partner with Mercer, where she oversaw the firm’s eleven Midwest offices. Additionally, she has held the positions of Corporate Vice President-Sales & Marketing for a major insurance company and Vice President-Human Resources in the insurance and retail industry. Barbara began her career at General Motors. She has extensive experience in labor relations and executive compensation. 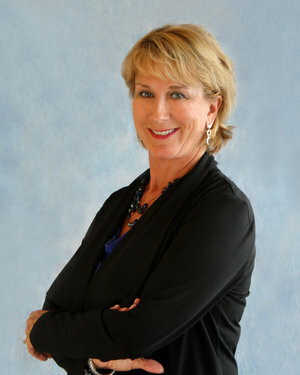 Barbara also developed a passion for coaching senior-level executive women. She has worked with executive women to enhance the key skills necessary to lead at the highest levels of organizations, such as executive presence, business acumen, building strategic relationships and balancing priorities. In 2003, Barbara created a “C-Suite” Senior Executive Women’s Leadership Forum. Today this forum continues to be a very active group of senior level business women who come together on a quarterly basis to offer each other peer coaching in a confidential environment. Barbara has previously served on the Board of Directors of SelectCare Inc., Henry Ford Health System – Fairlane, Blue Cross Blue Shield of Michigan Corporate Board, Wayne/Westland YWCA, Michigan Metro Girl Scouts, Community Foundation of Southeast Michigan and American Society of Employers. Barbara has also been a Trustee of the Ohio University Foundation. Bank Executive & Board Compensation Conference Speaker-"Aligning Compensation with Corporate Strategy"